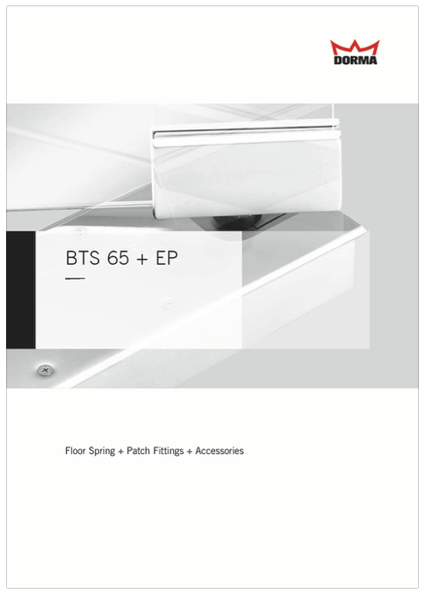 Successfully tailored to satisfy the special requirements governing floor springs of Singapore for double action doors, the BTS 65 also offers a particularly shallow design and thus all the advantages of a reduced installation depth. With two closing ranges and a choice of models, the BTS 65 can fulfil virtually any application requirement while providing all the reliability associated with assured quality from DORMA. secure and high-precision fit in the cement box. For filling the cavities between the floor spring body and the cement box to prevent moisture penetration (mandatory according to e.g. VOB regulations for wet rooms). Spindle insertsThe floor clearance can be adjusted as required by simply replacing the insertion spindle with another size. Special spindle designs available on request – e.g. 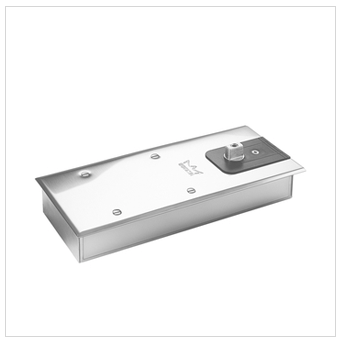 wide flats with 3° offset, square and spindle inserts for non-DORMA-specific accessories. Universal cover plateAvailable in stainless steel or satin brass.